The journey to getting an office to ‘go green’ is more than just buying recycling bins and sending out an email blast. Introducing initiatives is only half the equation. Getting people to adopt the mindset and get into the same boat, is a far more crucial battle. So how do you get everyone on board an eco-friendly revamp to the workplace? 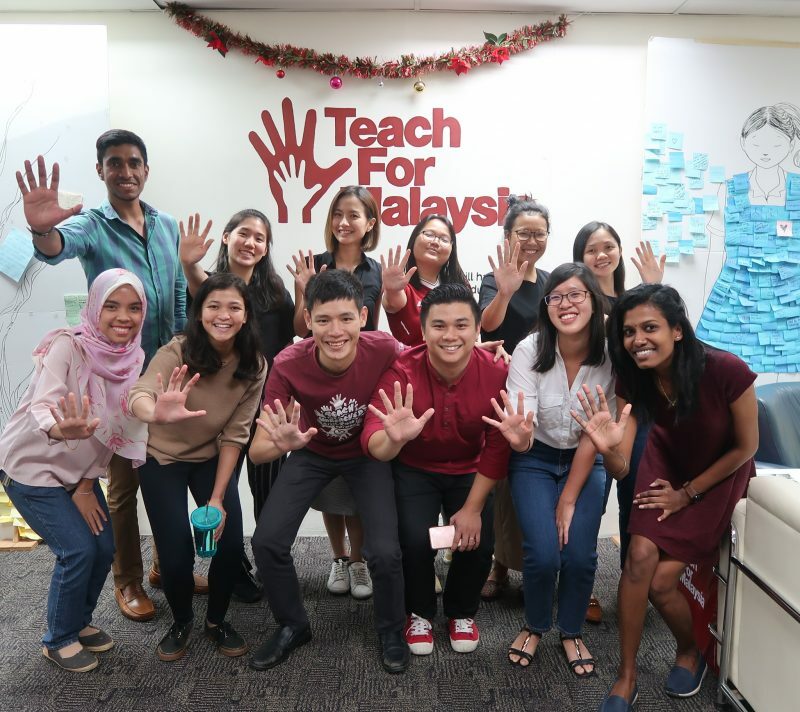 I speak to Yeong Sze Ern, one of the co-leads for the Teach For Malaysia (“TFM”) Go Green Committee taking on the challenge of transforming their office workspace into a more environmentally friendly community. Here is how they did it. Eco-friendly habits doesn’t need to be fancy or require an overhaul of how the office runs. It’s noticing opportunities where resources can be saved and adapting the current processes to account for it. Plastering vague posters telling people to save the Earth is hardly actionable, and depends heavily on the motivation and willpower of a person. Build it into the processes however, and you automate the ‘saving’ instead. Let’s face it, people are not willing to give up their lifestyles and the convenience of modern life. The important work in TFM means everyone’s top priority is education. So their approach to being environmentally responsible is to do what you can within your capacity. The pioneers started the recycling initiative by conditioning everyone to get used to the habits first. Before introducing the more complicated step of sorting by material, they started with single stream recycling (i.e. all in one bin) to get people in the habit of recycling first for the first 6 months. The GoGreen committee then sorted the recycling fortnightly in one go before bringing it to the recycling center. People started asking what can or cannot be recycled, sparking conversations amongst those unfamiliar to understand more about recycling. After the first 6 months, the office was able to progress to self-sorting in segregated recycling bins. 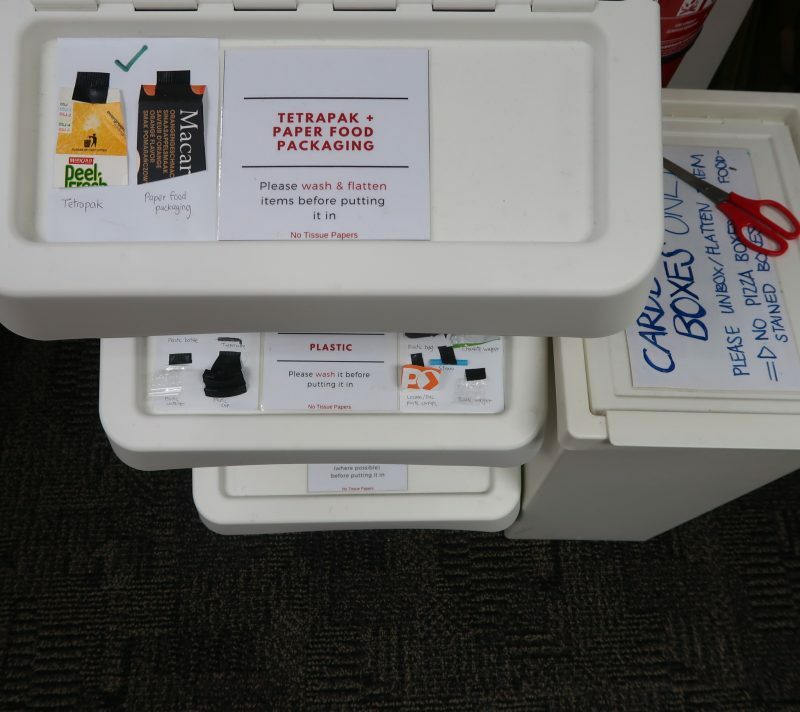 How did TFM gain acceptance across the company for their Go Green initiatives? “The timing was right”, says Sze Ern. Environmental concerns have been a frequent topic globally in the past year, and people are warming up to do more. A staff member raised the idea of going greener in the office during a company town hall with the entire staff force present. Many voices chimed in to support the idea, including from the higher ups. They kicked off with a green survey to get everyone’s feedback. This gave them a lot of positive feedback and more buy-in among the staff, before rolling out the initiatives. One of the valuable insights gained from the green survey was that people felt uncomfortable being pushed to change. So TFM uses encouragement instead. They actively speak out and share ways to do better. They are very careful about not publicly condemning anyone and to make sure that going greener is inclusive. Slowly but surely the tide is turning. They’ve seen not only a continuously decreasing amount of trash but favorable responses from the crowd. 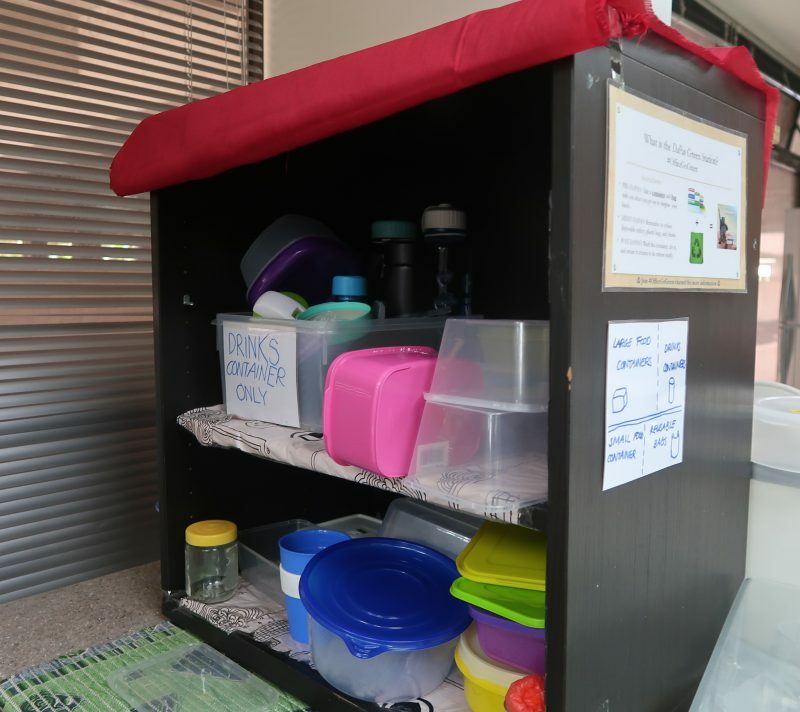 For example, every lunch hour, they actively encourage each other to grab a reusable container from a Dapao / Takeaway station before they head out to pick up takeaways together. The tone in the office is moving towards one of environmental mindfulness, normalizing it till it almost feels strange to not be one of the newly redefined herd now. 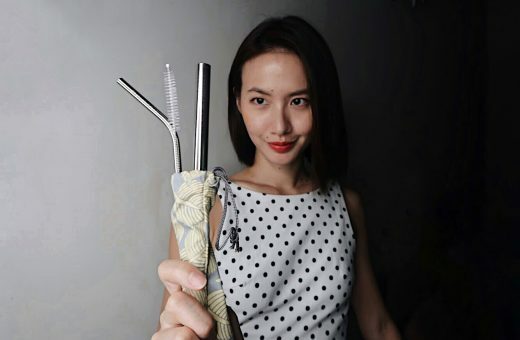 People in other teams have started to be reminders to keep other people consistent in practicing eco-friendly habits. On their own, taking up mantles as active enforcers. For someone like myself looking in, having had my own corporate experiences and speaking to different organisations, I’ve seen how it can literally take one person to create change. One person to step up, take ownership and Get. Things. Done. so that everyone else can too. In this case, two is even better. Sze Ern and her co-lead Nicole have supported each other from the inception, one as the ideas girl and one as the executor. The emotional baggage of working for change can be heavy, and having a reliable partner can be the difference between giving up and trying again. There are lots of imperfections along the way, as with any effort to get a community to change. The occasional plastic bag and stray plastic disposable may still find its way into the office. But they’ve come a long way. A group of change makers who’ve managed to see their office through growing into a more environmentally conscious one. With encouraging results, the Go Green Committee believe their workplace and its people are ready for more, and are pushing to turn Go Green initiatives into policy this year. 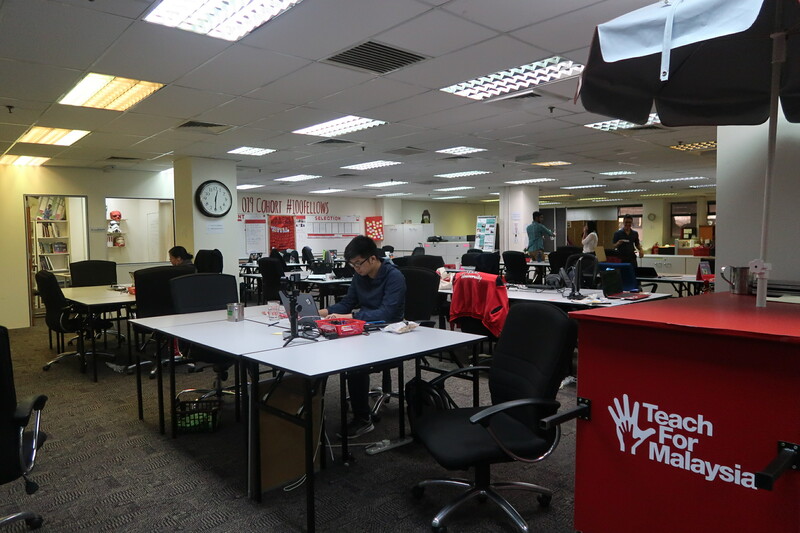 Now that the Central Office for Teach For Malaysia has had some time to reflect on what they’ve learned, they’re planning to expand this to the other TFM offices in Malaysia. Their role in the education system also places them in an opportune role of Connector, with the possibility of collaborating with other organisations and past Fellows to introduce these lessons to the younger generation, planting the next wave of change makers. Watch this space, as next week I’ll be sharing the actionable initiatives they introduced as well as 10 ways to a more eco friendly office!